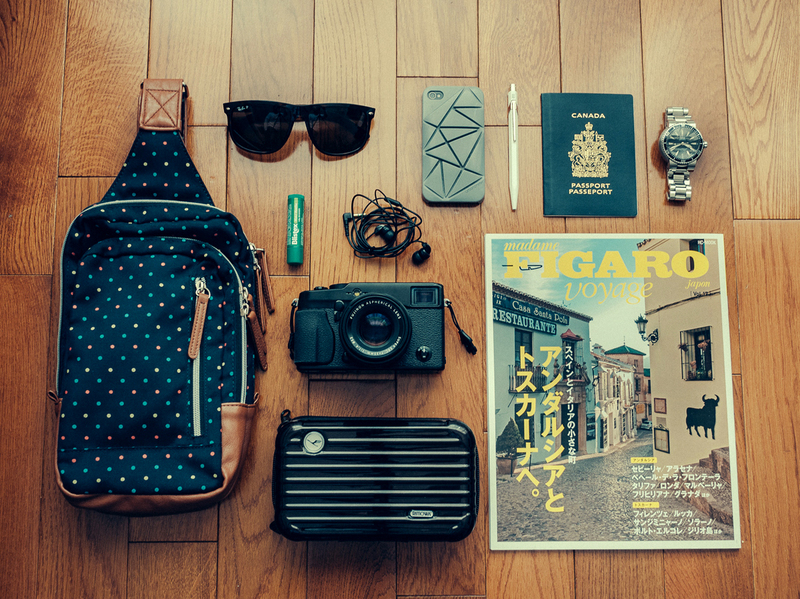 For every trip or vacation you take, there are always some of those must-haves that you absolutely cannot forget to bring. As part of the Turo Travel Essentials Campaign, I will be talking about some of my absolute travel essentials. Turos is a peer-to-peer car sharing service that allows individual car owners to rent out their vehicles online. This is a great resource to help people both make and save money, and eliminate the often expensive and limited selection of cars at rental companies. Unfortunately, it is only available in the U.S. for now, I am hoping that it one day expands into Canada! They are gradually developing a stronger presence in some of the airports too across the United States, making it easier for travelers to pick up their vehicle. With the option to reserve your rental car in advance, this clears off one must-haves for people that want a car! This one is kind of a given. Photos and videos are a great way to store and share those memories. I will always bring my lumpy, trusted Canon DSLR around to whichever destination I go to. I always have the option of my phone camera with me whenever I want to snap a quick photo, or when certain places restrict me from lugging a big camera around. However, it just does not always produce the same quality photos. Also, for something compact, waterproof and can handle extreme temperatures, there’s the GoPro. I love being able to capture my activities with this whether it be underwater scuba diving or snowboarding in the mountains. And do not forget the chargers! My all-in-one device. It eliminates the hassle of carrying a majority of maps, travel guides, language books, itineraries and physical papers around. My phone allows me to look up all of these things, and more. With offline apps for maps, organizers and audio tours (eg. OsmAnd, Tripadvisor travel guides, Google Maps with preloaded grids and Rick Steves audio tours), it has become my go-to whenever I needed to research things to do, organize my travel plans or look up the train schedule. Also, I upload my music to it so I do not need to bring an additional device with me. Bring a pair of headphones too if you plan to listen to music or watch a movie. Finally, it allows me to communicate and keep in touch with people, as well as provide a means of emergency contact. Don’t forget to unplug yourself every so often and enjoy your trip too. Shoes can take up a lot of bulky space in your luggage. Try to only take a few with you. I had a 45L backpack so I only brought a pair of comfortable sneakers, flats and flip flops. One pair for all-day walking or hiking around in, one pair that can be considered a bit more dressy for nice occasions out, and a pair for hot days to walk around in, go to the beach or for hostel showers. If you are traveling overseas, the outlets may not fit your chargers and other devices. Do a quick search of the type of sockets used and bring that with you. Better yet, purchase a universal one that will work for any country. Because nobody enjoys getting dry, chapped lips. Then constantly licking and having them dry out again. Especially if you are heading somewhere cold or dry. Trust me on this. For the downtime or periods spent traveling from one location to the next, whether that be on a plane, train, boat, bus or car. An e-reader is great for its compact size and capacity to store a lot of books. While I was backpacking in Europe, I went through about 3 or 4 novels. Again, it’s about packing light; having the physical copies of those books would have taken up too much space in the only backpack I brought with me. I hope for plenty of sunny days wherever you go. Depending on where your destination, bring a pair of inexpensive shades. This is an absolute must-have if you are going to be staying in hostels or accommodations that are shared with strangers. Every hostel should have locker storage either in the rooms itself or in a common area for you to secure your belongings in. It is better to be safe than sorry. I made the mistake of leaving home without bringing an umbrella with me, thinking that it would only rain a few times or that my non-waterproof jacket would suffice. I got soaked, learned my lesson and eventually purchased one. The hours spent flying or sitting around can be quite uncomfortable in the economy sized seats. Whenever I take naps, my neck always has a tendency to drop to one side strain itself. A travel pillow was an essential for me in making the journey a little more bearable. It also made for good additional support for pillows that were sub par at some living arrangements. For Canadian Citizens – attaching a flag to your bag can often get you nicer treatment overseas or find other Canadians around to connect with! Nice to have you back Sandy! I have to admit my “packing game” is unimpressive to say the least. Last month, in Japan, I took six books with me…SIX…two were history texts…Why would I do this Sandy? Why? Probably the dumbest thing I ever did while travelling. I was lucky enough to have a friend in Japan and was able to stash the books at her house, while I traversed the country side. 1. CJM = Camera, Journal & Music – These are the three items I will always bring with me anywhere, no matter what! 2. Chapstick – Soooo you don’t dig the whole LL Cool JJ technique for moisturizing lips? 3. Formal Clothes – While in South Korea I was able to attend a Yiruma concert, at the last minute. Pretty formal event and while I did not bring a tie, I was fortunate enough to have packed a blazer whew! I have been working on something for my site…Send you a note when I release it, would love your opinion on it! Keep inspired and keep writing. Let me know when you finish whatever you’re working on, I’ll definitely check it out! Thanks for reading my posts!! Great site Sandy! too bad u don’t update anymore haha.